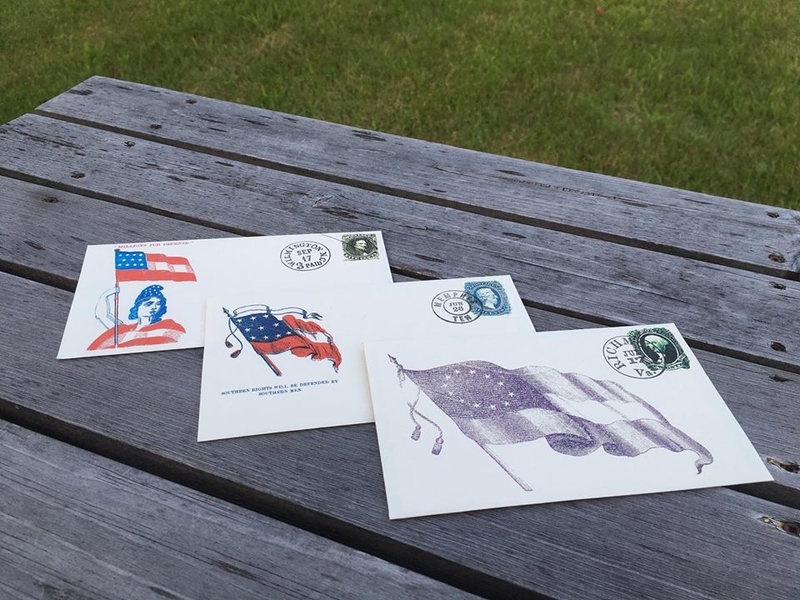 Confederate patriotic envelope set. 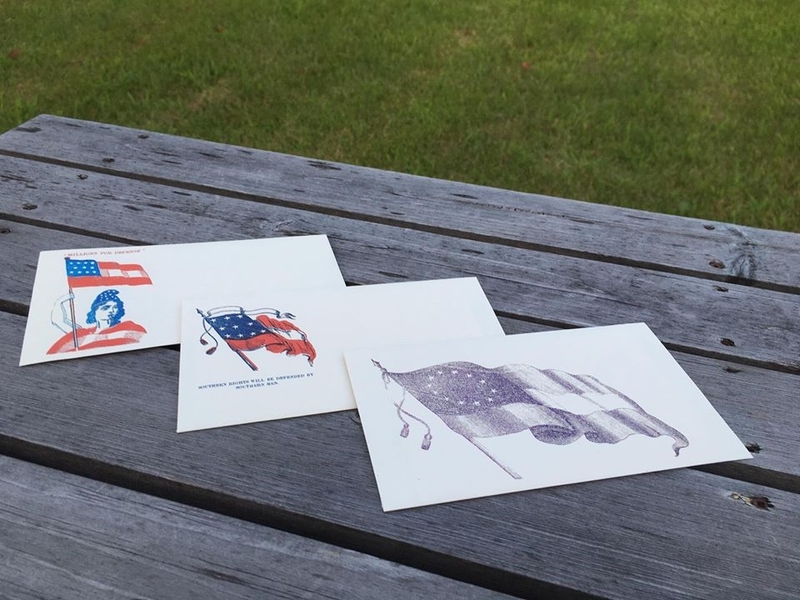 Includes 3 different envelopes bearing 3 different designs. Just like with all of our other envelopes, these have a gummed flap, and is replicated in the same size, with the same flap as our originals. 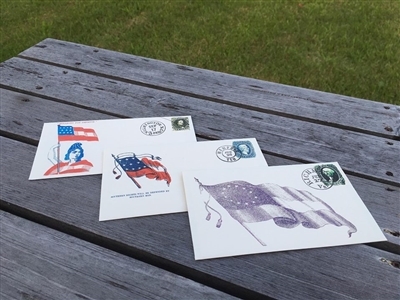 Each one comes with a small sheet of writing paper, and a Postage stamp, or if you prefer it can be marked for postage due, Available postmarked, or if you prefer it can be left blank. If you'd like a specific city on all of them contact us, otherwise they will come with an assortment of southern cities. Custom postmarks can be made for a one time fee, and will be available on all of your future envelope orders. Contact us for details.